How Will We Know if We Should Replace or Recondition Large Scaled Electrical Equipment? Transformers are used in industrial and manufacturing settings as a way to control the electricity infrastructure within a facility. They are used to step up and power down different voltages of electricity to equipment throughout. The longevity of transformers comes down the environment in which they are ran and the amount of usage received. A typical end of life period for transformers under average usage is somewhere between twenty to forty years. Factors other than age are often used to consider if a transformer should be replaced. With this in mind, many facilities are considering refurbishing older transformers that are still showing signs of good health instead of replacement. In the following installment we will look at the many reasons that refurbishment of transformers is becoming popular verse replacement. We will also look at why some transformers can be refurbished and why others shouldn’t be. There are limitations to refurbishing transformers that we will look into as well. Why Choose to Refurbish Verse Replace? The cost to refurbish a transformer is substantially less than purchasing a brand new one. Cost is definitely a factor in refurbishing, but it is also important to recognize the time saving. 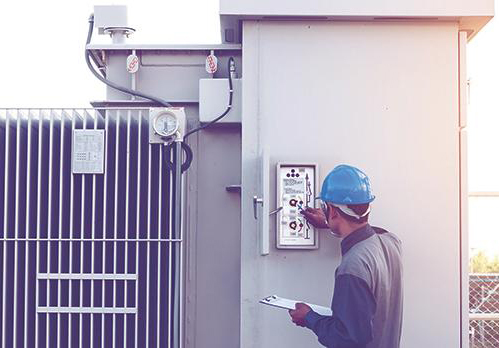 The time to refurbish a transformer is substantially less than the time it takes to procure a new piece of electrical equipment for your facility, such as a transformer. Buying new equipment often comes about through a lengthy process that requires approval from a number of sources before it can be completed. It is also considered a capital expense which many facilities try to budget ahead for. Refurbishment is often classified as a revenue expense which doesn’t often require approval. Extending the life of quality assets is good for business and refurbishing can achieve this without risk. We are all responsible for doing our part in creating a sustainable environment to leave to generations to come. The environmental impact of manufacturing and equipment disposal is not something that is taken lightly. Reconditioning transformers and other large scaled equipment helps to demonstrate environmental sustainability which is not only showing corporate responsibility but also regulatory consciousness. Prolonging the life of large scaled equipment through reconditioning is just one way to exhibit your company’s commitment to environmental impact as well as to the confidence that the plant will continue to operate efficiently without risk of unexpected failure. If you do find that you have had to replace a transformer for a reason other than failure, the older transformer can be refurbished and kept as a spare. In order to determine if a transformer can be refurbished it is necessary to assess the transformer. The extent of reconditioning needed to make it like new again may be deemed too much. However, when refurbishment is deemed appropriate, the transformer is brought to a dedicated facility where reconditioning can be performed.